The second half of the backswing involves a continued rotation/side bend combined with extension, elevation of the arms, and a rotation of the forearms to get the club to set on plane. During the second half of the backswing, the “weird” movements are the extension and the forearm rotation. Across The Line And Flying Right Elbow Two common top of backswing ideas and how they relate to transition. Insight - Does Straightening The Trail Leg Increase Hip Rotation Straightening the trail leg or keeping it bent has been a hot discussion the last few years, see how it relates to actual hip turn in this insight. 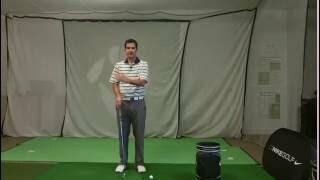 Insight - Keeping The Left Arm Straight? 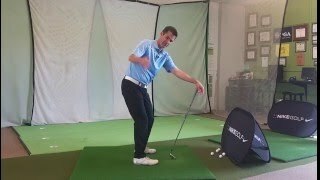 Rewind To Backswing - Use Delivery Position To Train Your Backswing By going backwards from impact, you challenge the brain to connect the dots of the backswing.